Aretha Franklin's Impact on Dance Music Over The Years - Pop It Records - NEW MUSIC EVERYDAY! The irony is that Aretha Franklin’s disco album was a flop. Released in 1979 at the twilight of the disco era, La Diva was a commercial failure, selling less than 100,000 copies in the United States and standing as the lowest charting album of Franklin’s long and illustrious tenure at Atlantic Records. But there was another dance subgenre coming down the pipeline, and Aretha and the soul genre she presided over as queen would become one of its primary vocal and spiritual influences. House music was just beginning its rise in the late '70s and early '80s, getting play at soon-to-be iconic venues like The Loft and Paradise Garage in Manhattan and The Warehouse in Chicago. It was in these clubs where producers — many of them young, black, gay and raised on church music — were forming the house sound, using emerging synth and drum machine technology to create the tracks and beat patterns that served as house music’s skeletal structure. DJs like David Mancuso, Larry Levan and Frankie Knuckles didn't sing, but they had deep and impeccable taste and access to technology that allowed them to remix tracks by almost any recorded artist. Given the choice, they went with the best: Aretha. Mancuso regularly dropped her 1968 hit “Ain’t No Way” during his sets at The Loft, setting the mood with the sultry 1968 slow jam about love and heartache. Levan dropped myriad Aretha tracks from the '60s and '70s into his mixes, lifting crowds with his driving beats and Franklin's soaring vocals while also working in music by many of the soul singers working under Aretha's influence. At his early days at The Warehouse, Knuckles played downtempo selections from the Franklin’s catalog in the morning after epic all night sets. "Frankie was a huge fan and adored her immensely," says Frederick Dunson of the Frankie Knuckles Foundation. Knuckles’ favorite Aretha track was “Ain’t No Way,” as it reminded him of this mother. As the '80s progressed and house music jumped the Atlantic to Europe, where the genre fractured and mutated into strains like acid and progressive, DJs in the states were drawing from the Christian hymns of their youth with the expansion of the gospel house subgenre. This style cemented the notion of the club night as spiritual experience, with DJs bringing crowds on sonic journeys that lifted them towards spiritual ecstasy. The First Lady of Soul was a natural fit for the scene, and it wasn't only the old stuff DJs were pulling from, incorporating funky early '80s Aretha cuts like "Get It Right," "Freeway of Love," and "Who’s Zoomin' Who?" alongside Franklin's music from earlier eras. It was only a matter of time before Aretha herself got in the game. Recognizing her crossover appeal in the dance world, Aretha called up the era’s star producers to help deliver her to clubland. In 1994, Franklin recorded a cover of “A Deeper Love,” a track originally by David Cole and Robert Clivillés, the masterminds behind C&C Music Factory. 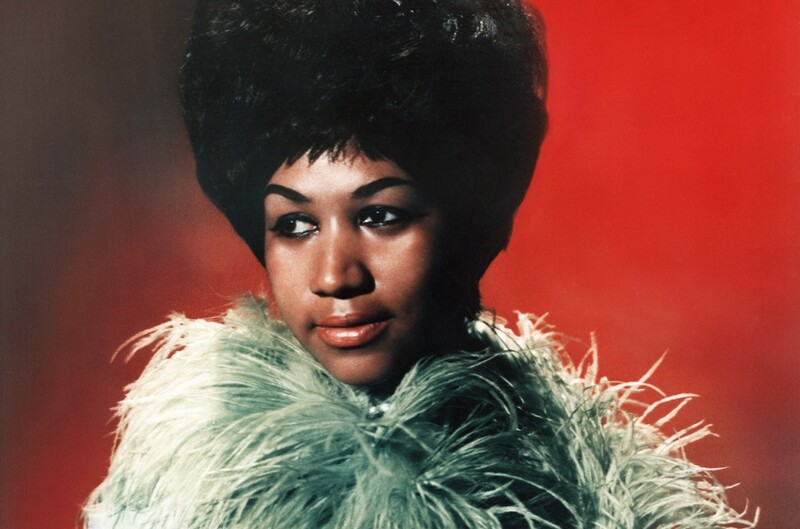 Clivillés and Cole produced Aretha’s take of "A Deeper Love," which skyrocketed to the top spot on the U.S. dance charts and also hit #30 on the soul singles chart and No. 63 on the Hot 100. (“My memory of Aretha Franklin is, “You got two takes boys and I'm done,’” Clivillés says of working with Franklin on the track.) “A Deeper Love” was the lead single from Franklin’s Greatest Hits (1980-1994) collection, with a rework by the era’s star remixer David Morales earning the song traction in the clubs while helping push Franklin to newer, younger audiences. Check out some of Franklin's biggest dance tracks below. “A Deeper Love” was a grand example of the era’s bombastic diva house genre, with singers on many of the era’s biggest diva house hits – Black Box’s “Strike It Up,” C+C Music Factory’s “Gonna Make You Sweat (Everybody Dance Now”) – indebted to Franklin’s guttural vocal stylings in the way all soul music was post-Aretha. Although some critics dismissed diva house as mainstream fare designed for women, at its core the anthemic genre was about power, with singers like Martha Wash and Loleatta Holloway delivering mighty vocals they seemed to be summoning from the depths of their body and soul. In 1998, Franklin once again called upon Morales to remix her “Here We Go Again.” His rework came out as part of a collection that also included remixes by New York duo Razor N’ Guido. Morales, who specialized in remixing tracks by pop divas like Mariah Carey and Whitney Houston, pushed this new Aretha music into the worldwide club scene, landing it amongst the gay community that frequented clubs and worldwide circuit parties. With the evolution of dance music in the last two decades, Franklin’s voice has shown up in genres she may not have been able to even imagine when she was recording the originals during the pre-computer era. Zeds Dead used the vocals and melody from 1968’s “I Say a Little Prayer” (itself a cover of the 1967 Dionne Warwick hit) in their 2012 track “Coffee Break.” The track – which borrows its title from the song lyrics “and all through my coffee break time” – brings Aretha into the world of bass and crunchy dub, demonstrating the breadth of her influence and the agility of her vocals to work in even the unlikeliest places. Indeed “the Queen of Soul” wasn’t just a title, but a way to qualify the life force Aretha Franklin infused into her music through her miracle of a voice. It’s a voice that has extended across eras and genres, serving as a way for Aretha herself to reach new audiences while also becoming a tool for DJs and producers to infuse some soul into computer-made productions. So with today’s passing of Aretha Franklin, perhaps the best eulogy the dance world can offer is to keep doing what it has done since the beginning – dropping Aretha’s music, feeling her spirit reach out to yours and allowing yourself, however briefly, to be lifted.